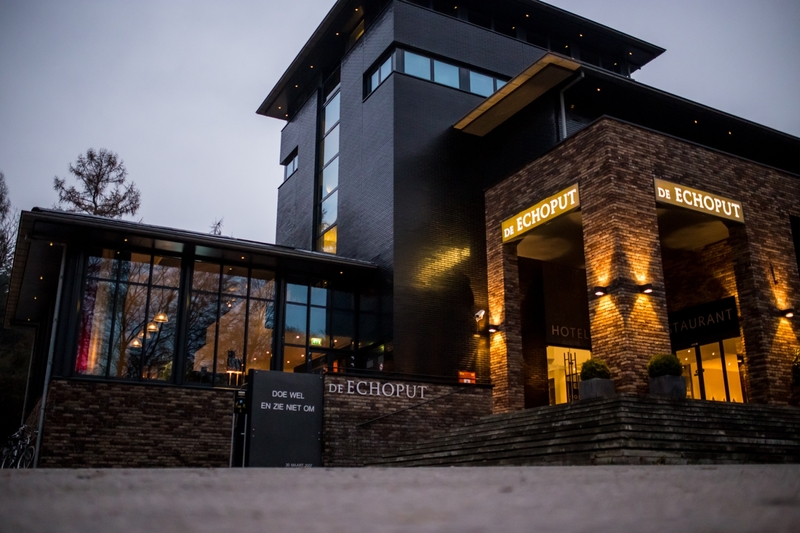 The luxury design hotel De Echoput is situated in a unique location in the heart of the De Kroondomeinen nature reserve – Paleis het Loo’s royal estate – which comprises 11,000 hectares. Hotel de Echoput is owned and run by the Klosse family and has a rich heritage including a historical well. It is also home to the renowned top-class Restaurant de Echoput. For years, the hotel and restaurant have been specialised in game dishes and food with paired wines. Thanks to its considerable expertise, the restaurant is regarded as a gastronomic beacon of the Netherlands. The current owner, Dr. Peter Klosse, has a PhD in the science of flavour, is the author of various culinary books and a lector in the field of nutrition and health. His latest concept is based on ‘multi-sensory menus’ which involve all five senses in the taste experience. De Echoput’s philosophy is to optimally celebrate nature. This is the perfect place to enjoy a culinary weekend away, to relax and unwind in the luxury hotel rooms and to explore the great outdoors!